The Vigil and final Mass of World Youth Day 2019. Image: Diocese of Parramatta. World Youth Day 2019 Panama has reached its climax with the overnight prayer Vigil and Sunday Mass at the Campo San Juan Pablo II (St John Paul II field) on the outskirts of Panama City. Diocese of Parramatta pilgrims traded their hotel beds to sleep under the stars on grass and gravel. An estimated 700,000 pilgrims crowded the field as pilgrims continued to arrive throughout the night and Sunday morning. Bishop Vincent led the chaplains and other Diocese of Parramatta pilgrims constructing a small tent city one kilometre from the stage for their overnight stay. Some pilgrims’ groups were given the opportunity to get a closer vantage point being chosen to sit in exclusive areas. 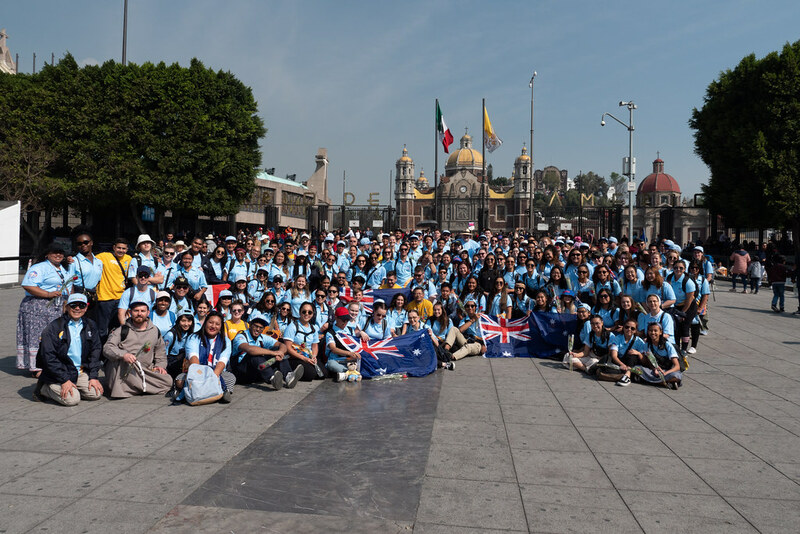 An estimated 700,000 pilgrims attended the Vigil and final Mass of World Youth Day 2019. Image: Diocese of Parramatta. During his speech at the Vigil, Pope Francis said the Lord offers an “invitation to be part of love story”. The speech formed part of an evening of prayer, music and adoration that for many is seen as the highlight of World Youth Day. The crowds of pilgrims fell silent during Eucharistic Adoration, many on their knees for the entire 30 minutes of holy service. Pilgrims making their way to the Vigil and final Mass of World Youth Day 2019. Image: Diocese of Parramatta. Pope Francis also used his speech to young people at the World Youth Day Vigil to invite them to create a better society and better relationships. Using references from current internet culture he said salvation was not “up in the cloud” or “waiting to be downloaded” or a “new app” but rather an invitation to be part of a love story. Pope Francis at the Vigil and final Mass of World Youth Day 2019. Image: Diocese of Parramatta. In his Sunday homily during the final Mass, Pope Francis urged young people to respond to the call of God and to not to rely on others to make a difference “Dear young people you are not the future but the now of God. He invites you and calls you in your communities and cities to go out…to speak out and realise the dream that the Lord has dreamed for you”. At the end of Mass, Portugal was named host for the next World Youth Day. Diocese of Parramatta pilgrims returned to their hotel by foot before departing for the final stage of the pilgrimage, the post-World Youth Day retreat in Houston, Texas.